Heat oven to 375°F. Line large cookie sheet with cooking parchment paper. 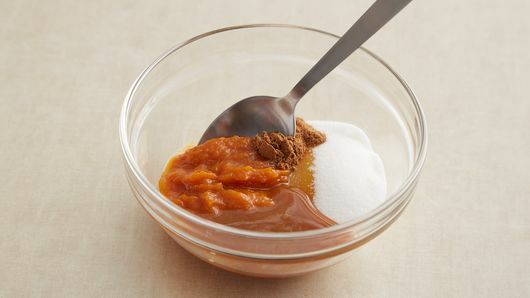 In small bowl, mix pumpkin, 3 tablespoons sugar, 1/2 teaspoon pumpkin pie spice and 2 tablespoons caramel topping. Separate dough into 8 triangles. 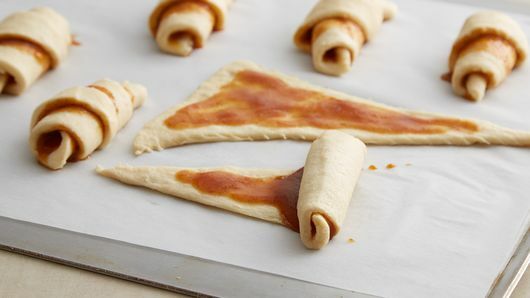 Spread about a tablespoon of pumpkin mixture onto each triangle. Roll up loosely starting at shortest side of triangle, rolling to opposite point. Place on cookie sheet. In small bowl, mix 2 teaspoons sugar and 1/8 teaspoon pumpkin pie spice. 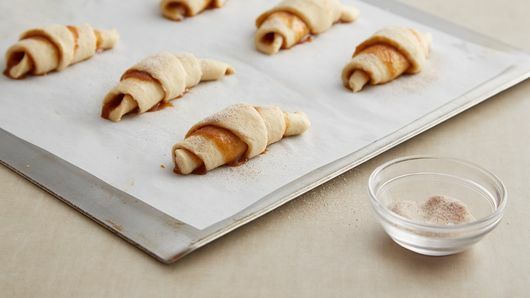 Sprinkle over filled crescents. Bake 10 to 12 minutes or until golden brown. Cool 5 minutes on cookie sheet. 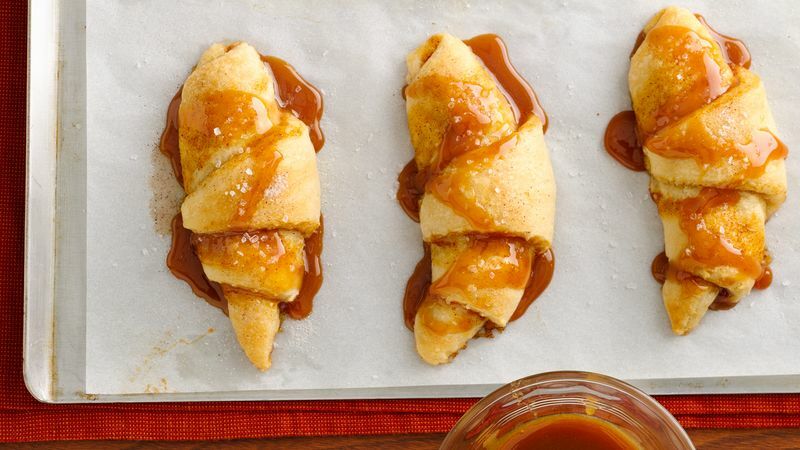 Drizzle with 4 teaspoons caramel topping. Sprinkle with coarse sea salt. Serve warm or at room temperature. You can prepare the filling up to a day in advance and keep covered in the refrigerator. 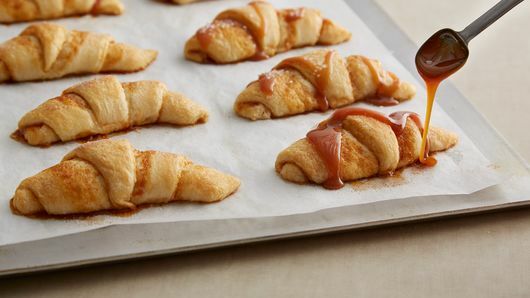 The crescent rolls can be prepared up to 2 hours in advance, covered with plastic wrap and refrigerated before baking.